Jake’s father, Harry, has disappeared and his flat has been ransacked. Is his disappearance linked to his work in the Green Enclaves, government sponsored forests in a world deprived of oxygen. Or has he become embroiled in shady dealings of some kind? Is it anything to do with the League of the Dead? Aided by his beloved Allie and Stick, the school’s hacker, Jake tries to get into the Enclave to find out. But the Enclave is a lethal place…..
Chapter 1 He heard the patter of hurrying feet and then the distant shouting behind him. The houses were racing past, ancient buildings leaning drunkenly in above him, the jutting upper floors supported on wooden beams almost touching over his head. And the stench was gut-wrenching. He was running, running away from the voices, hearing the far off howling. 'Death to the aristos! Death to the aristos!' He had come into a narrow alleyway, the dusk of evening revealing behind him, as he glanced over his shoulder, the gleam of distant torches. He appeared to stumble and, looking down, he saw his ragged clothes and then, at the end of the torn sleeve, the tell tale, all-betraying hint of lace at his wrist. He fumbled at it while he ran but the glove hampered his efforts and he gave up, fleeing into the darkness of the alleyway, hearing in panic the fast-closing baying, 'Death to the aristos! A la Bastille!' The buildings had an odd grainy look to them; his terror, he suddenly thought, deforming his vision. And then, in an instant, turning a corner, he was at the end of his alleyway and catapulted into a larger street where a thousand rushing bodies jostled him back against the wall and then swept him, puppet-like, along in their midst, shouting and screaming as they headed for the walls of the Old City. Carried on the surge of the throng he was unable to escape, trapped in the thick of the mob, the faces of the people beside him caught in the flare of the torches. He heard the names of Marat, Danton and Robespierre tossed from one to another exultantly. 'A new society! Freedom and brotherhood! A la Bastille!' They were not, after all, after him, or perhaps this was a new band. There was a young man next to him with blackened face and grimy, ragged clothes, one torn sleeve of his jerkin flapping in the wind as he ran, white teeth blazing in the dark face. 'We will free them,' the boy shouted. He smiled back, suddenly exhilarated, and forgetting his fear shook his fist and yelled with the others, 'A la Bastille!' They burst into the concourse and through the gates and then the great grey building was towering over them, bringing them to a juddering halt. He thought of all the poor souls who had disappeared within its walls thirty, forty, fifty years ago, never to be seen again. Now some, at least, would be free. The bodies crowding round him, the rough unshaven faces, the tattered tricolore streaming in the wind above them, all had an unreal air, and he felt dizzy. The stench had become even more overpowering. The crowd was rushing the gates, using a battering ram. Two men at the front, incredibly brave, were carrying it forward as guards came pouring out and the first man staggered back under the thrust of a pike, red spreading across his chest. He watched horrified as the crowd surged forward again, the weight of their numbers overwhelming the guards. He had been thrust forward, right to the very front, next to the dying man and looking down saw the splash of red on the lace at his wrist. Another man next to him looked down also. 'Eh, les enfants, it's a dirty aristo here. Who else wears fine lace shirts?' The voice was thick with anger and disbelief. He looked around alarmed, saying, 'No, no, I stole it,' but saw that they did not believe him, the boy's face also shading with anger. He ducked, moving quickly back into the crowd, pressing his hand into his glove. The furious murmurs began to swell, the hatred feeding on hatred..'A dirty aristo! Where? Where?' He thrust his way through to the mob's edge, the man still close on his heels, his shadow thrown before him by the torches, showing the knife lifting in his hand. He pressed his hand into the glove more desperately, heart pounding, throat dry with wracking terror. He made the pistol shape and pointed desperately skyward, pressing, pressing the button in the glove. It was not responding. And the man's face, huge, grainy looking, like fine woven linen, was on top of him, the bad teeth above him, the hatred filling his whole field of vision as the man screamed, 'Filthy aristo, kill him, kill him,' the gleaming blade with red upon it scything towards his throat. If you would like to finish reading the book please use this link to order your free pre-release copy..
Chapter 1 The body lay some yards beyond her on the atrium floor. She had still been in the Paseo Nuevo, one of the central walkways of the great Apumanque Mall, when the incident must have started. She had been looking for the Embassy shuttle and wondering if Helena was back already when she heard some sort of scuffle going on in the central atrium. ‘I see they're cleansing the area,’ a voice had said. ‘I hope they give them a good hiding before they chuck them out!’ said another. She couldn’t quite see what was happening, the bright sunlight filtering through the great stained-glass roof of the Mall blinding her. People were standing still, swivelling round, looking in the direction of the atrium where all the Ministries were located. She needed to cross it to get to the entranceway and wondered what to do. She wanted to avoid the fight, if it was a fight. The Mall was thronged with shoppers loaded with their purchases from the elegant boutiques and she couldn’t see if Helena had drawn up to the entranceway or not. The mass of green vegetation in the central reservation, the giant grasses, the swaying leaves of the great strangler fig, made it difficult to see anything on the other side of the atrium. Hampered by her own bags, she tried to keep to the edge of the Paseo but a guard, rushing towards the fountain in the middle of the atrium, pushed her towards the centre. ‘Someone’s stolen something from the Ministry,’ a large woman with unnaturally blond hair reported over her shoulder to the man behind her, her voice filled with excitement. 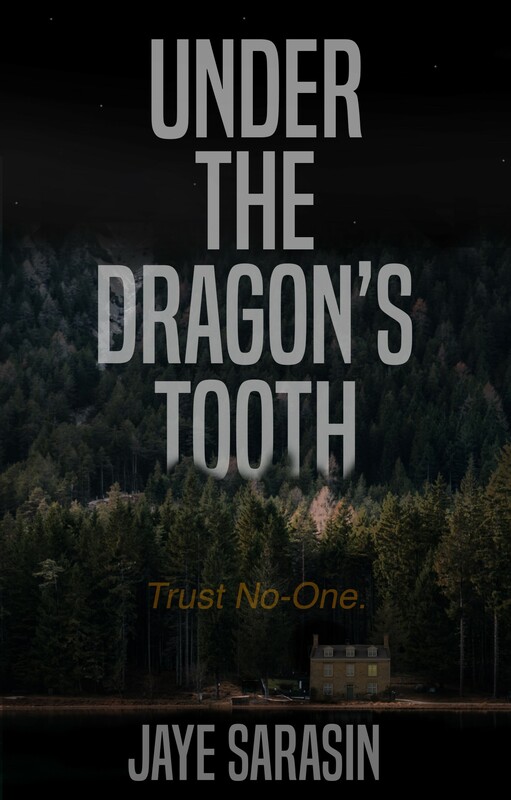 Two more guards rushed past, voices babbled and then a small dark figure clutching a thin brown attaché case was swarming up one of the trees next to the pool. He disappeared into the greenery and another man next to her grunted. With a shock Allie realised that he was one of the four-eyed and couldn’t prevent the horrified start it always gave her to see one. The eye on her side was watching her, but she knew the others were busy gazing at the surrounding world. The man was nervous, skittish, like a frightened horse when its eyes alight on something unknown. The four-eyed had been bred as soldiers before the days of the Species Integrity Protocol, one of her tutors had told her, some manic general imagining that better sight would represent some kind of military advantage. ‘Didn’t work though,’ her tutor had said. ‘The psychiatrists say that four eyes provide too much sensory input for the brain and it leads to system overload. The ones who can function at all are usually just silent and,’ he sought for the word, ‘sullen.’ The four-eyed man jerked his head and Allie saw the movement in the branches above. It must be the climber, only visible now and then as a flash of ragged cloth or a brown outstretched hand. Each time he disappeared almost immediately into the foliage, just a swaying of the gigantic hibiscus blooms and gourd flowers showing where he had been. The man twitched again. The child - it could only be a child - was almost at the third level. Without a doubt one of the street urchins, rogues and pickpockets mostly, who managed to get into the Mall. In theory they were barred from entry but some always found a way in, no one ever knew how. More guards were running across the atrium floor. Allie watched the child coming out of the canopy, scrambling perilously along an extended branch. She was aware of guards crashing into the shrubbery below, shouting and waving their guns. Her eyes went back to the little figure swinging wildly towards the third level railing. If he could get to the railing he would be over and away. A security guard had appeared from the lifts on the third level but he was on the other side of the gallery. The child was extended to his full length, ignoring the dizzying height, the terrifying drop to the atrium floor. His hand brushed the railing and then fastened tightly on it. He was going to make it. The guard on the far side stopped, realised what was going to happen, and then stretched out his arm. The four-eyed man made a sound as if in pain, a gun barked once and then the child was plunging down, arms extended, branches whipping under the pressure then springing back as he fell. The guns lined up in a neat row against the back wall were all I had hoped for and the dour McFarlane's suspicious grunt as I picked one of them up and balanced it in my hand was not going to discourage my joy in them. I must confess that I felt no twitch of premonition, no hint of foreboding, as I patted the stock lovingly and sighted along the barrel. Indeed how could I have guessed at the time at the consequences of my day's activities, at the nightmare and the tragedy that were to follow? So I just said cheerfully, 'Exactly what we need. Great!' and stood the ancient musket back in its rack. McFarlane grunted again in disgust and I thought that Aunt Fran, with whom I was living for the duration of the holiday job, had been quite right in her assessment. Aunt Fran had grinned, knowing our director as she does. I fished in my bag and produced a somewhat crumpled letter. In fact he was short and stocky and looked relatively well fed although this didn't seem to have improved his temper much. He had grudgingly shown me over the hall, warned me against the curtain (it stuck halfway unless you knew how to humour it), and demonstrated the lighting system efficiently enough but gazed at me as if I meant to run off with all of Kintairlie High, hall included, when I asked him for the key to the props cupboard. I explained patiently. McFarlane cast me a look of positive dislike. Coupled with the fact that I was a Sassenach and a foreigner here I was, wanting to rummage in his props cupboard. I thought that the smile had carried the day, but at the mention of yet another foreigner his face seized up and his accent became incomprehensible. 'Ah regrret, bit I dinna ken whaur they've pit the key. Y'll have tae arsk Mr Sherrrington.' And muttering all sorts of Gaelic imprecations he shuffled off to his broom cupboard. I sighed. Obviously Mr Sherrington, the ancient from the English department, was the next on my list. I recalled McFarlane from his polishing machine long enough to find out where the man was - oddly enough, in the laboratory on the second floor - and set off in his pursuit. Perhaps it was the only place with heating? After having made a couple of false entries I eventually found the lab, but as I poked my head around the door I saw that my quarry had fled. There was nobody there except a Bunsen burner, a sixth former and a young, strong-looking type, possibly head of the rugger eleven. Or even more likely McFarlane had sent me to the wrong place. The strong looking type looked up. 'Here. Someone looking for me?' The accent was definitely transatlantic. It was silly to be so taken aback and it only shows the danger of preconceived notions. I suppose I stammered something and the brown eyes gazed at me reflectively. I was looking at a tall, compact young man, dressed in immaculate casual wear and with a lock of dark brown hair falling forward above some very straight, dark eyebrows. The chin seemed a little uncompromising too. Another dour chappie like McFarlane I thought to myself in disgust until enlightenment crossed his features and he smiled. For a second he looked a little taken aback, which made two of us and I felt a whole lot better, and then the brown eyes laughed at me..
'Oh - er - sorry about that, Miss Richards. Failed on the PC front again, I guess.’ He did not, to my mind, look particularly contrite. Extinguishing the Bunsen burner and thrusting a heap of books into the arms of the sixth former he accompanied me below stairs. In the presence of the forceful Mr Sherrington, whose accent, I decided, was East side USA, probably Vermont or Boston, McFarlane became almost cooperative and the rifles, pre-World War I musket type, were all that could be desired. It is true that had they been real they’d have been collectors' pieces and there would certainly be some knowledgeable brat in the audience who would point out that they were totally useless but for our purposes they were fine. There were some decent banners as well and a couple of Corinthian columns, so all in all I felt well satisfied with the morning's work. I'd even won over the stern heart of McFarlane in the end by revealing that I could recite ‘Scots wha hae wi' Wallace bled,’ and with a passable accent to boot. An hour later I was heading for home on Aunt Fran’s scooter, rolling gently towards Torwood and Kilstratten, feeling well disposed to the world in general. I had chosen the back road from Stirling to avoid the traffic, as now that the bypass is open hardly anyone uses Back Lane, and it was pleasant to sail past fields and hedgerows and not to have to worry about ten ton trucks behind. The Ochil Hills were green and mauve and shadowy on my left-hand side, the scents of spring washed over me and I was enjoying the heat of the sun on the back of my anorak. Something moved in the grass verge ahead of me. I couldn't tell what it was, some small animal perhaps, but my attention was distracted and I wobbled slightly. Then, as I saw what was lying, half in, half out of the long grasses at the roadside's edge, the wobble became an outright swerve and I careered straight off the road and into the ditch, finishing up with my face buried in a clump of very late primroses and the bike on top of me, pinning down one leg. The object which momentarily seemed to have filled my whole field of vision had been an outflung arm, the hand lying, palm upward, in a kind of plea. 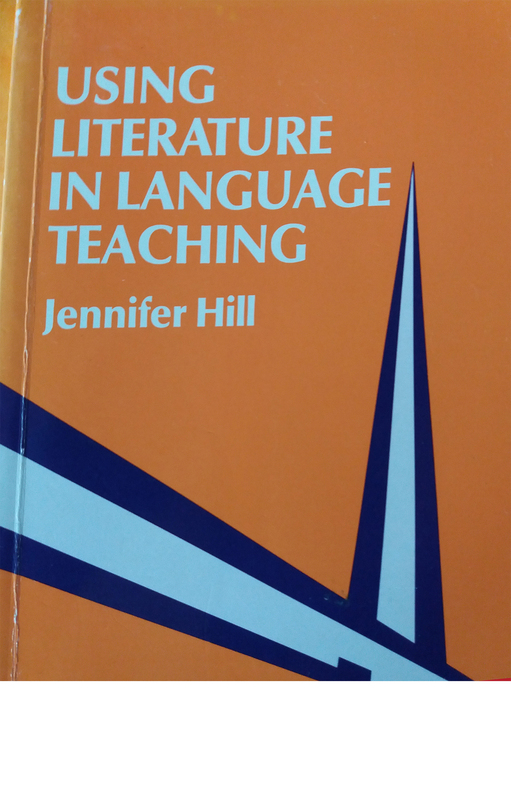 Demonstrating ways in which literary texts can be integrated simply and effectively into language study, using basic methods to make them acessible, lively and memorable.